Nearly half a century after his father Shakoor Hasham Patel left Gujarat to start a successful cap manufacturing business in Mumbai, his son Asgar Shakoor Patel with the same thirst for success and passion for hard work made a pivotal journey of his own. He returned from the United Kingdom with the certainty that he wasn't going to join his father's business, instead make his own roads. From a Salesman to a Stenographer to a Secretary, he went on to transporting his first consignment for Glaxo in 1959. This was the dawn of Patel Roadways Limited. A zest for success and a clear-cut vision drove Asgar Patel to transform Patel Roadways into one of the largest logistics companies in Asia with 1000 delivery outlets and complimented by a workforce of over 7,500 people. Even during the uphill task of accomplishing this feat, Asgar still found time to complete his studies and go back to college where he graduated in law in his mid 40s. Creating One Brand was not enough and Asgar Patel was soon setting his sights beyond the boundaries of India. In the years that followed, astute diversification saw the company make hugely successful forays into the courier, air-freight, finance, foreign exchange and money remittance business. 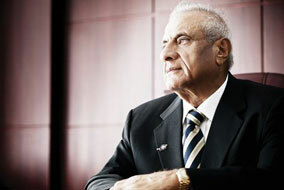 With Mr. Asgar Patel at the helm, the House of Patels has burgeoned into a multi-million dollar conglomerate with a reputation for strong business values, quality services and unflagging corporate excellence. What is an even greater thrill than making money is that of Creating Institutions and New Products, says Asgar Patel, which he continuously seeks till date.